the starting point of the railway. The Hejaz (or Hedjaz) Railway (Turkish: Hicaz Demiryolu) was a narrow gauge railway (1,050 mm/​3 ft 5 11⁄32 in track gauge) that ran from Damascus to Medina, through the Hejaz region of Saudi Arabia, with a branch line to Haifa on the Mediterranean Sea. It was a part of the Ottoman railway network and was built to extend the line from the Haydarpaşa Terminal in Kadikoy beyond Damascus to the holy city of Mecca. It got no further than Medina, 400 kilometres (250 mi) short of Mecca, due to the interruption of the construction works caused by the outbreak of World War I. Damascus to Medina is 1,300 kilometres (810 mi). The main purpose of the railway was to establish a connection between Constantinople, the capital of the Ottoman Empire and the seat of the Islamic Caliphate, and Hejaz in Arabia, the site of the holiest shrines of Islam and the holy city of Mecca, the destination of the Hajj annual pilgrimage. Another important reason was to improve the economic and political integration of the distant Arabian provinces into the Ottoman state, and to facilitate the transportation of military forces. The railway had no debt when completed. Many miles of the track lie below sea level. 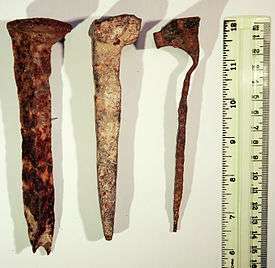 Railroad spikes of the old Jezreel Valley railway (part of the Hejaz Railway), found near Kfar Baruch . Under the helm of chief engineer Mouktar Bey the railway reached Medina on September 1, 1908, the anniversary of the Sultan's accession. Compromises had to be made in order to finish by this date, with some sections of track being laid on temporary embankments across wadis. 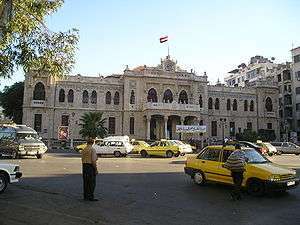 In 1913 the Hejaz Railway Station was opened in central Damascus as the starting point of the line. 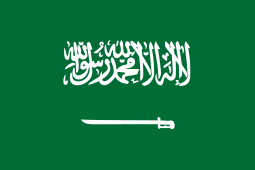 The Emir Hussein bin Ali, Sharif of Mecca viewed the railway as a threat to Arab suzerainty, since it provided the Ottomans with easy access to their garrisons in Hejaz, Asir, and Yemen. From its outset, the railway was the target of attacks by local Arab tribes. These were never particularly successful, but neither were the Turks able to control areas more than a mile or so either side of the line. Due to the locals' habit of pulling up wooden sleepers to fuel their camp-fires, some sections of the track were laid on iron sleepers. During World War I, the German Army produced shale oil from the Yarmouk oil shale deposit to fuel locomotives operating on the railway. The line was repeatedly damaged in fighting during the war, particularly at the hands of the guerrilla force led by T. E. Lawrence during the Arab Revolt, which ambushed Ottoman trains. The Turks built a military railway from the Hejaz line to Beersheba, opening on October 30, 1915. After the fall of the Ottoman Empire in 1920 the railway did not reopen south of the modern Jordanian-Saudi Arabian border. An attempt was made in the mid-1960s, but this was abandoned due to the Six Day War in 1967. The plan envisages restoration and modernization of the railway line by the Turkish government within its territory, while it calls on Syria and Jordan to rebuild their sections of line. So, when these four countries (Turkey, Jordan, Syria and Saudi Arabia) come together, the entire project would be completed. Small non-operating sections of the railway track, buildings and rolling stock are still preserved as tourist-attractions in Saudi Arabia, including the Medina Terminus, restored in 2005 with railway tracks and locomotive shed. The old railway bridge over the Aqiq Valley though was demolished in 2005 due to damage from heavy rain the year before. Trains destroyed during the Arab Revolt of 1916-1918 can still be seen where they fell. Israel Railways partially rebuilt the long-defunct Haifa extension, the Jezreel Valley railway, using standard gauge, with the possibility of someday extending it to Irbid in Jordan. The rebuilt line opened from Haifa to Beit She'an in October 2016. In 2009, Jordan’s transport ministry proposed a 990-mile (1590-km) US$5 billion rail network, construction of which could begin in the first quarter of 2012. The planned network would provide freight rail links from Jordan to Syria, Saudi Arabia and Iraq. Passenger rail connections could be extended to Lebanon, Turkey and beyond. The government, which will fund part of the project, is inviting tenders from private firms to raise the rest of the project cost. In 2008 the "museum of the rolling stock of Al-Hejaz Railway" opened in Damascus Khadam station after major renovations for an exhibition of the locomotives. Trains run from Khadam station on demand (usually from German, British or Swiss groups). The northern part of the Zabadani track is no longer accessible. There is a small railway museum at the station in Mada'in Saleh and a larger project is the "Hejaz Railway Museum" in Medina, which opened in 2006. A coin commemorating the opening of the Ma'an Station of the Hejaz Railway. Preserved 1902 Krauss steam locomotive no. 10 at the Israel Railway Museum. Monument commemorating the opening of the Turkish railway station in Haifa, Israel. Empty phosphate train at Ram station, coming from Aqaba, Jordan. Wikimedia Commons has media related to Hejaz Railway. ↑ Özyüksel, Murat (2000). Hicaz demiryolu. Tarih Vakfı Yurt Yayınları. ISBN 975-333-137-1. ↑ Özyüksel, Murat (2016). The Hejaz Railway and the Ottoman Empire: Modernity,Industrialisation and Ottoman Decline. Middle Eastern Studies. doi:10.1080/00263206.2016.1209491. ↑ Cole, Beverly (2011). Trains. Potsdam, Germany: H.F.Ullmann. p. 127. ISBN 978-3-8480-0516-1. ↑ Alali, Jamal (2006-11-07). Jordan Oil Shale, Availability, Distribution, And Investment Opportunity (PDF). Amman, Jordan: International Oil Shale Conference. Retrieved 2008-10-25. ↑ Hamarneh, Yousef; Alali, Jamal; Sawaged, Suzan (2006). "Oil Shale Resources Development In Jordan" (PDF). Amman: Natural Resources Authority of Jordan. Retrieved 2008-10-25. ↑ Cotterell, Paul (1986). "Chapter 3". The Railways of Palestine and Israel. Abingdon, UK: Tourret Publishing. pp. 14–31. ISBN 0-905878-04-3. ↑ Article Madinah Municipality Razes Hijaz Railway Bridge in the Arab News from Wednesday 31 August 2005. ↑ Site with a picture of the damaged bridge and the Medina station before restoration among others. Tourret, R. (1989). Hedjaz Railway. Tourret Publishing. ISBN 0-905878-05-1. Nicholson, James. The Hejaz Railway. Stacey International Publishers. ISBN 1-900988-81-X.